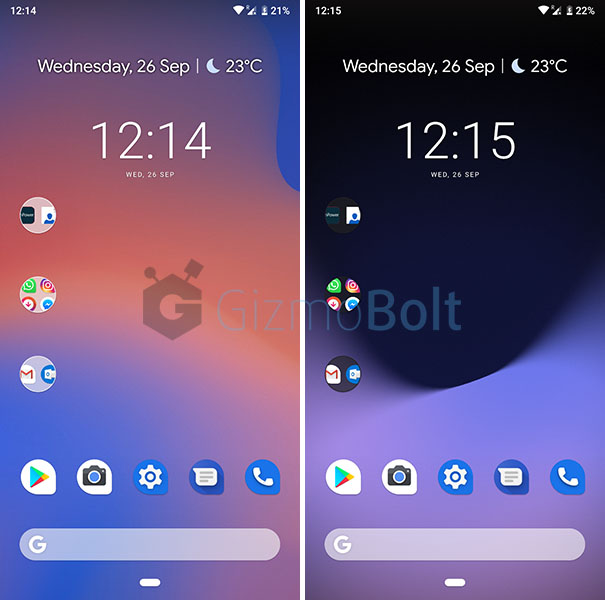 Google Pixel Camera Mod App is now available for Samsung Galaxy S10 and Galaxy S10+ and is working on the Snapdragon variant of the device as confirmed by users at XDA. 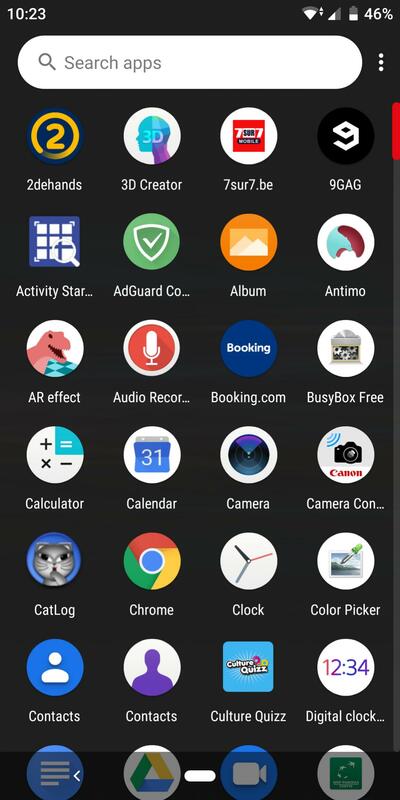 The famous “Night Sight” feature of Google Pixel Camera app is now available for Samsung Galaxy S10 and Galaxy S10 via this modded app by Arnova8G2. 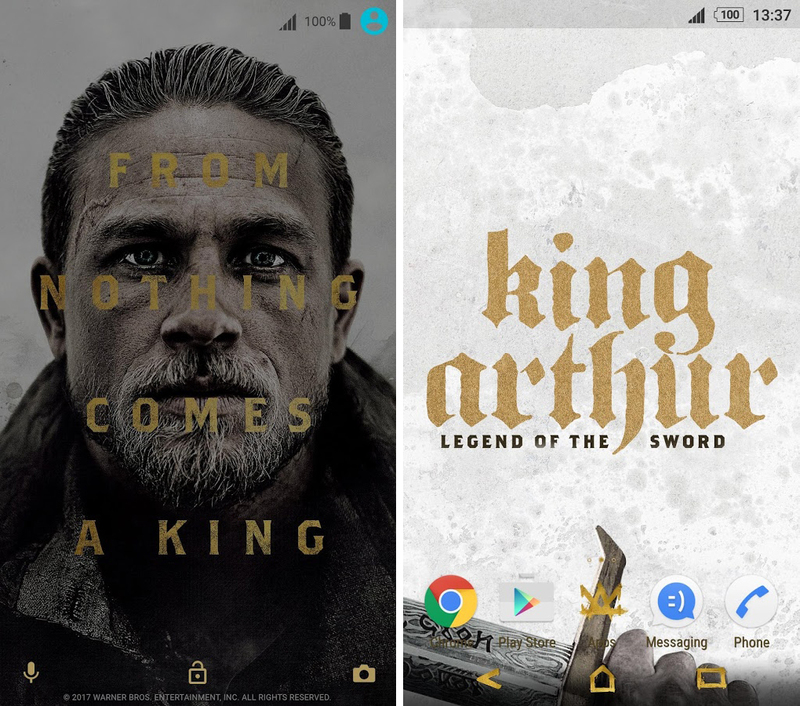 Download Google Pixel camera Mod app for Galaxy S10, S10+ from below link and install the app like a normal apk. Above posted Google Pixel camera Mod App also supports aperture switching between 1.5 and 2.4. Test the above Google Pixel camera Mod App on your Galaxy S10 and S10+ and let us know if it works. Drop your comments below. 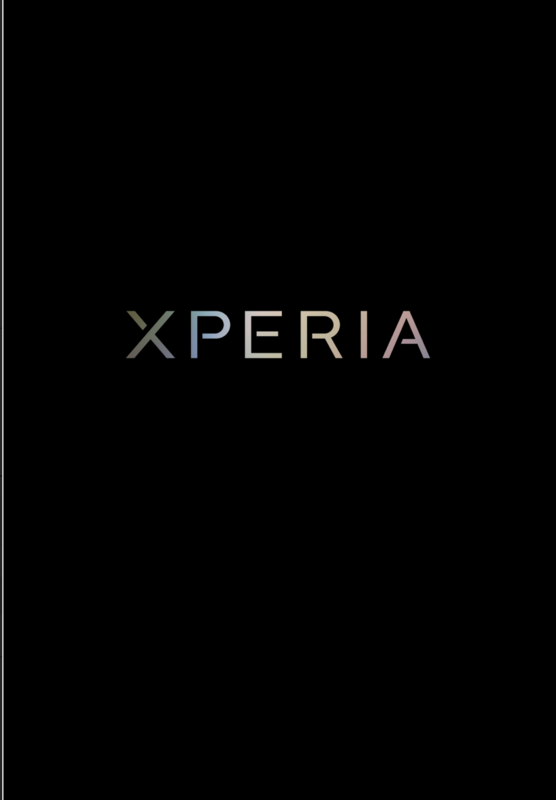 Sony Xperia Home 12.0.A.0.15 beta App update is now rolling over the previous 12.0.A.0.13 beta version app. 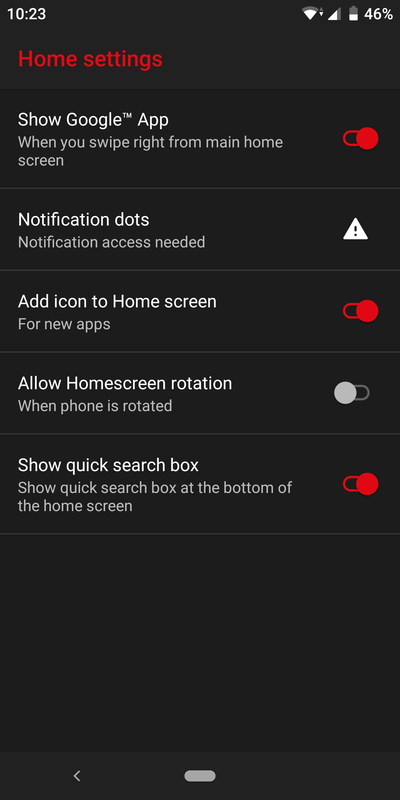 Xperia Home 12.0.A.0.15 beta App update adds notifications to the application context menu. 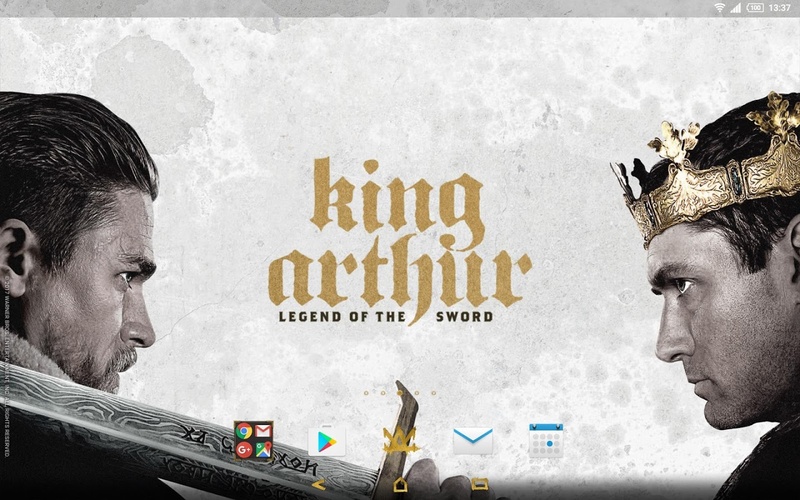 It is now possible to access them directly by touching and holding an icon. 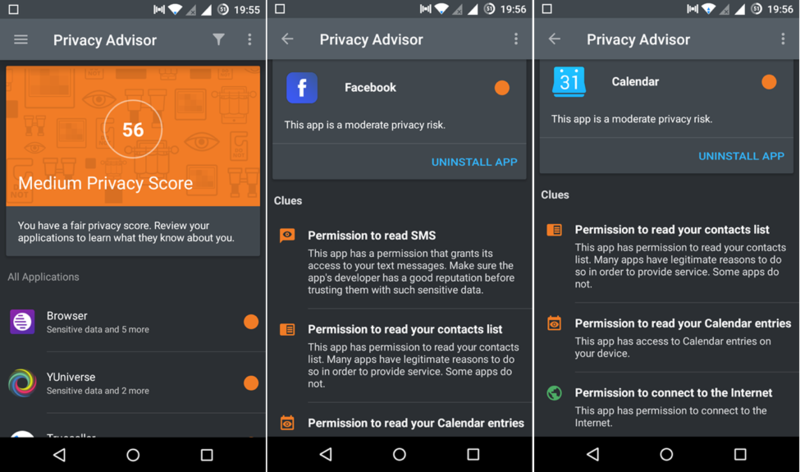 It also adds Contacts, SMS, MMS and Web to the search function and setting for normalizing the icon appearances along with various big fixes. 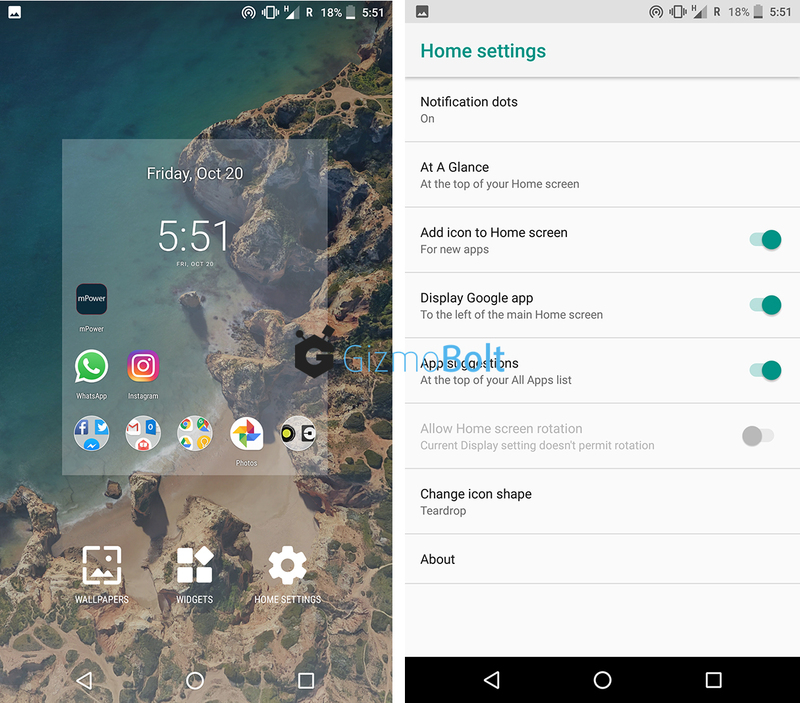 Download Xperia Home 12.0.A.0.15 beta apk from below link. 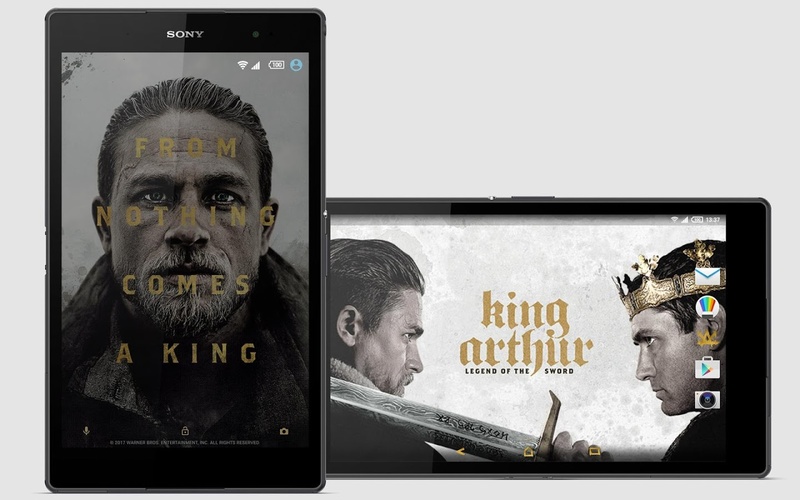 It requires Android 5.0+ running on your Xperia devices to install the app. Let us know if the app works on your device. Drop your comments below. 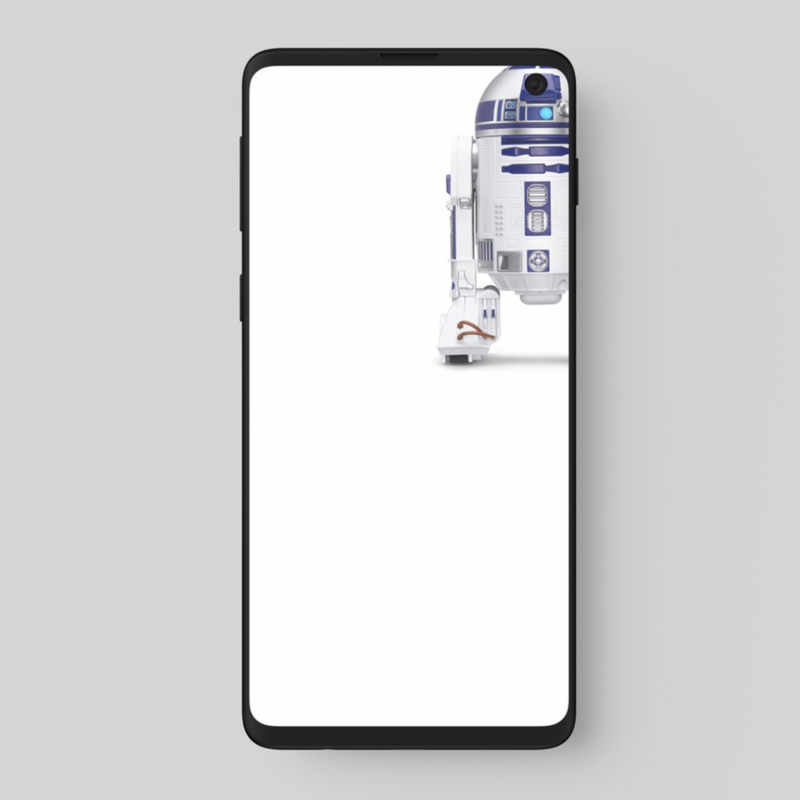 We have already shared some camera Cut-out Wallpapers for Galaxy S10, S10+ of the famous designs/characters namely R2D2, Mars Rover, BB-8, WALL-E, R.O.B., Minion, Johnny5, Bender, Mars Rover. 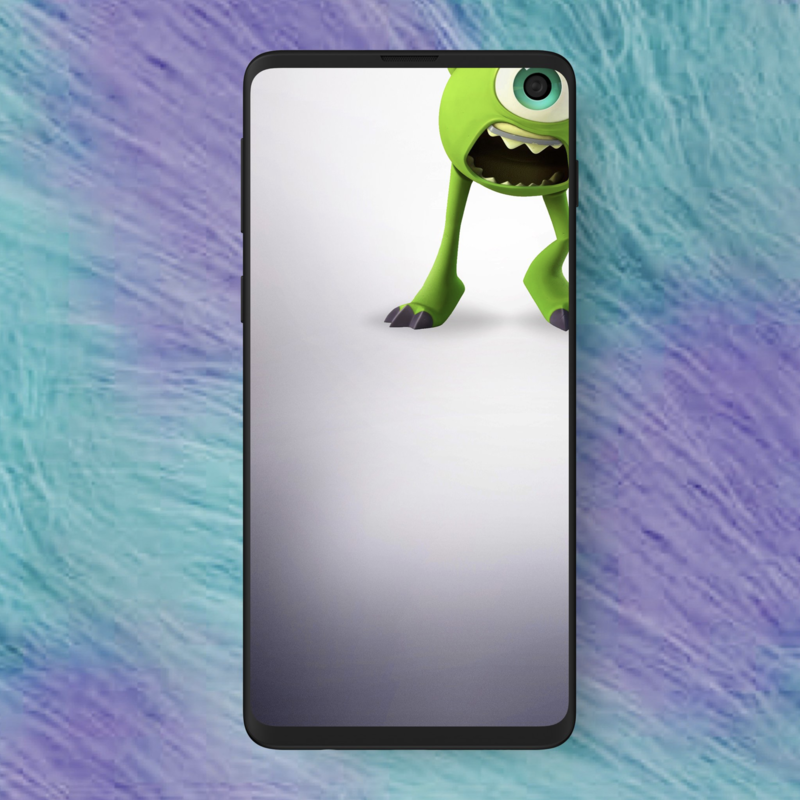 Now the same creator Matt B via Twitter has shared some more Cut-out Wallpapers for Galaxy S10 and S10E of the famous designs/characters namely Big Hero 6, Air Jordan, Miyazaki Soot, Simpsons, Monster Inc.
Download the new Camera-cut out wallpapers for Samsung Galaxy S10, S10+ and S10E from below (simply save as image, resolution 1440 × 3040 px). Check out more Camera cut-out wallpapers for Galaxy S10 and S10+ here. 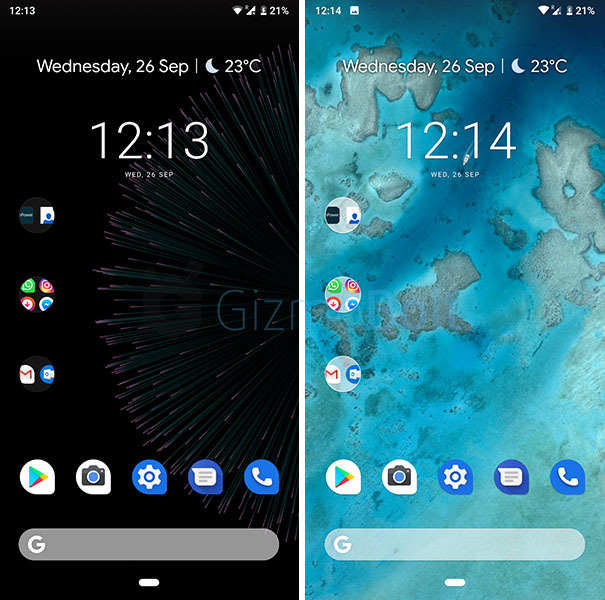 Xperia 10 & Xperia 10 Plus Live Wallpaper is now available for download. 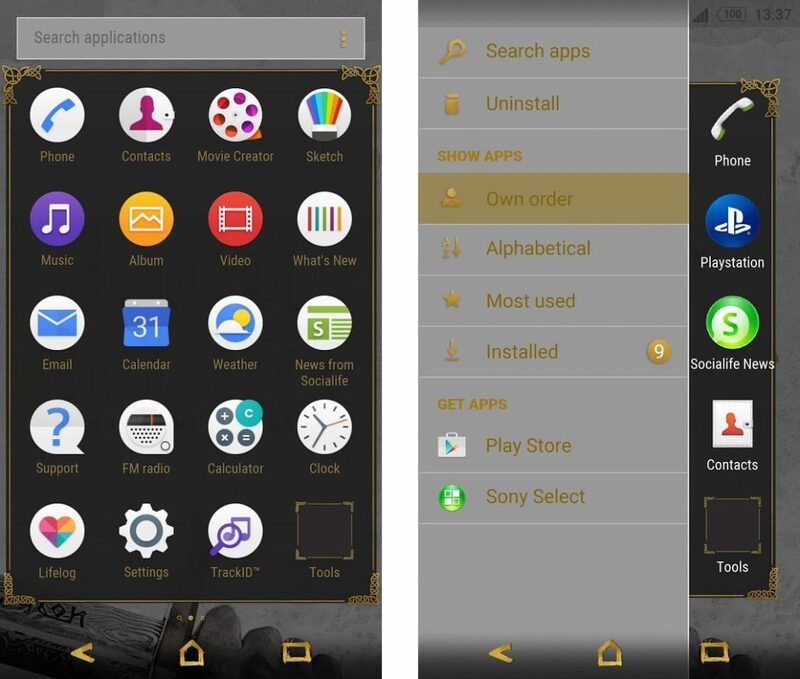 Pack contains Black, Gold, Navy, Silver, Xperia Theme Live Wallpapers. 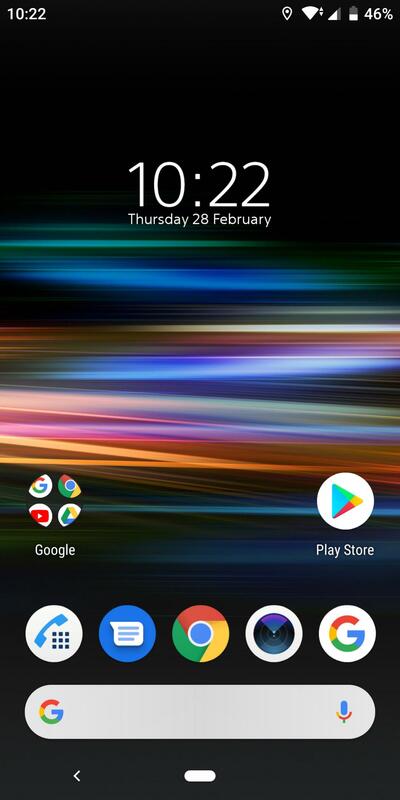 Animation on live wallpaper comes as when lock screen is unlocked after that wallpaper is static. 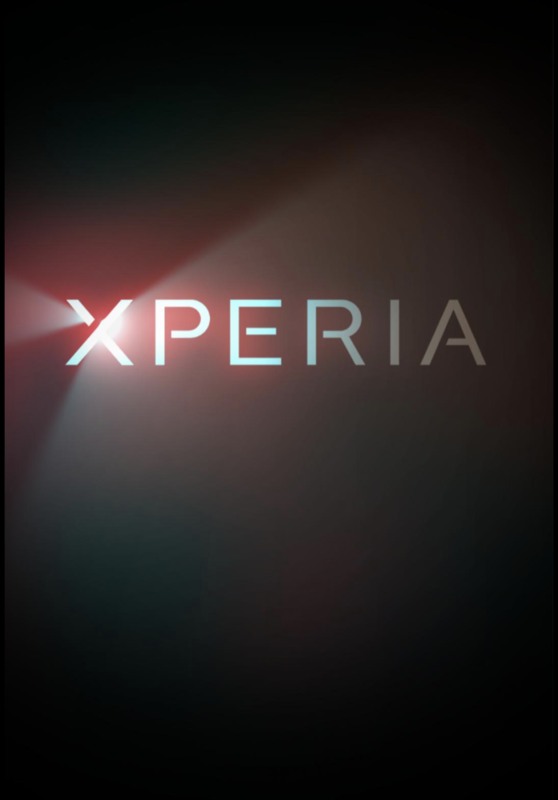 It requires Android 9.0 to install on non-Xperia devices. 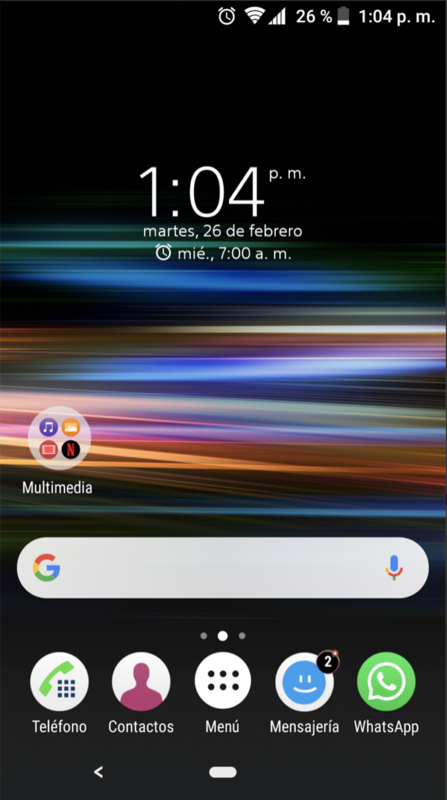 We tried installing Xperia 10 live wallpaper on non-rooted Pixel 2 XL running Android 9.0.0 and it runs smoothly. 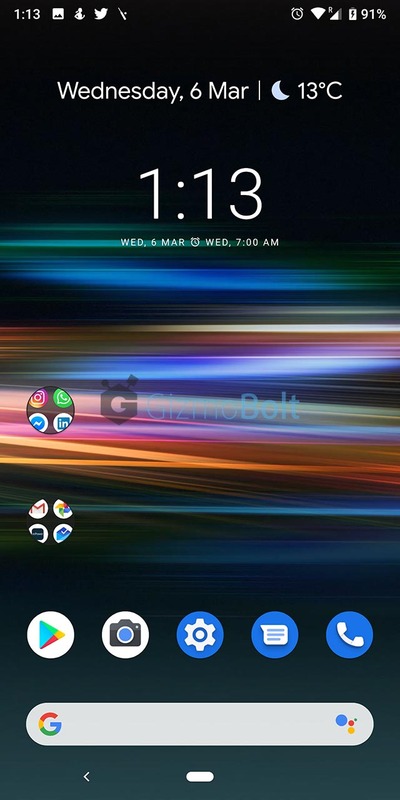 Download Xperia 10 & Xperia 10 Plus Live Wallpaper from below link. 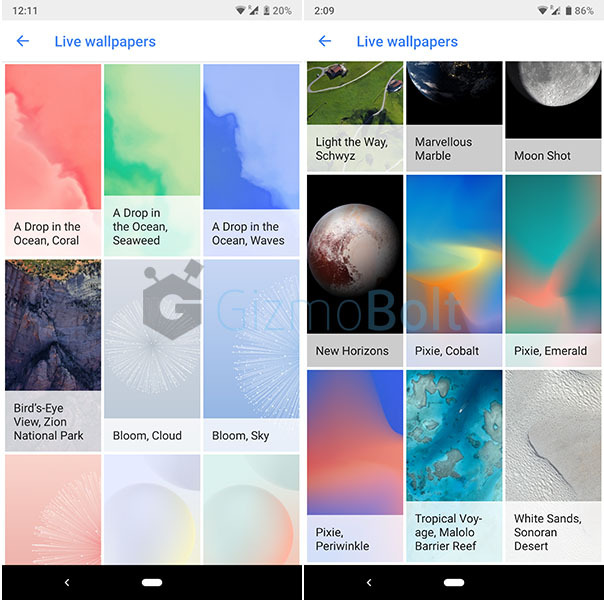 Check out the previews of different shades of Xperia 10 & Xperia 10 Plus Live Wallpaper. Like the new Xperia 10 Live Wallpaper? Let us know. Drop your comments below. 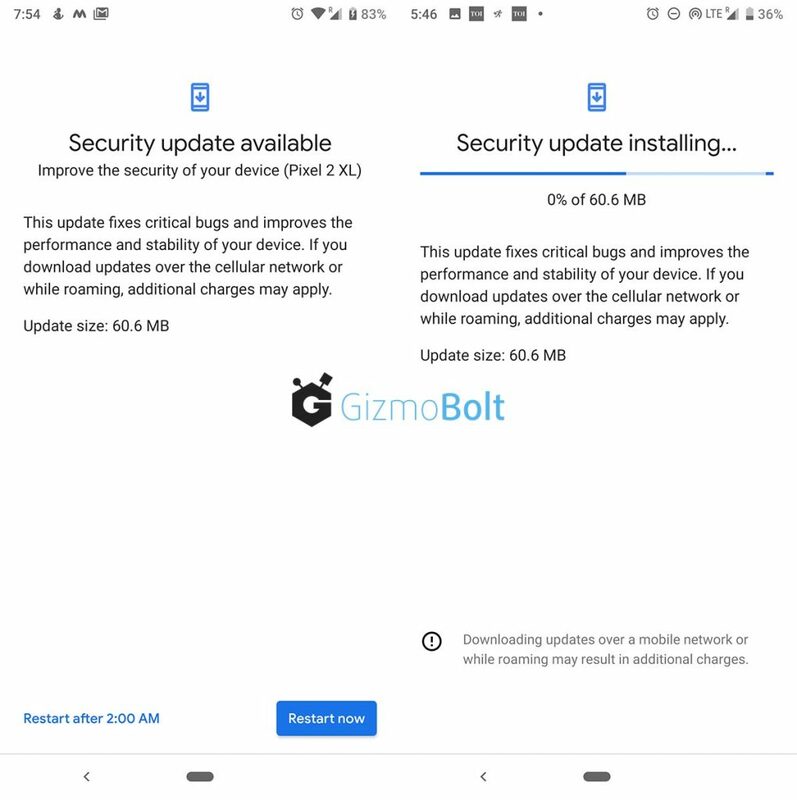 March 2019 Android Security Update is now rolling for Google Pixel devices via OTA dated 5 March. 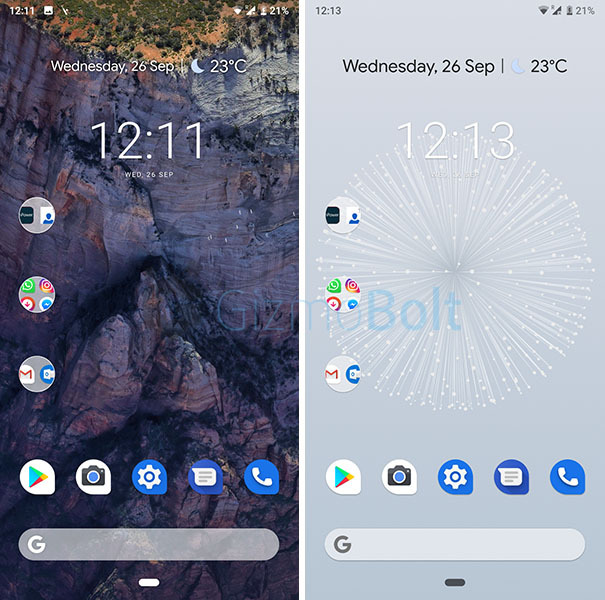 Pixel 3 and Pixel 3 XL have got functional patches which improves startup and responsiveness of Camera app, improves storage performance and Bluetooth reliability. 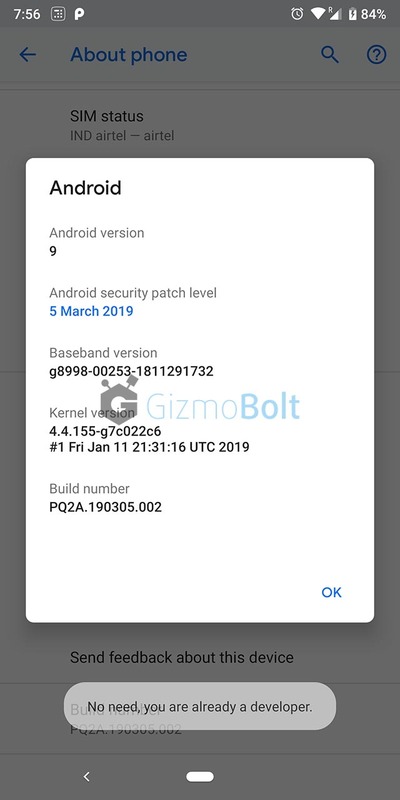 March 2019 Android Security Update is rolling in the form of Android 9.0.0 PQ2A.190305.002 build number, which is same for Pixel 3, Pixel 3 XL, Pixel 2, Pixel 2 XL, Pixel and Pixel XL whereas OPM8.190305.001 build number is rolling for Pixel C (on Android Oreo). 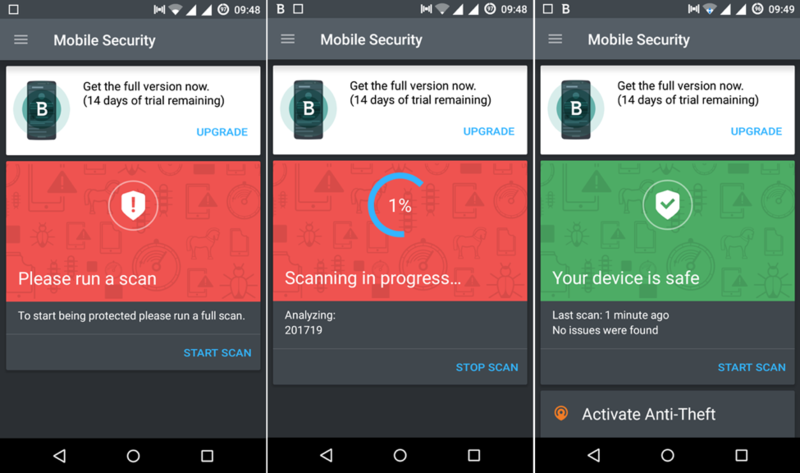 We have already updated our Pixel 2 XL to March 2019 Android Security Update and till now no major changes are spotted. Verizon Wireless has also announced the PQ2A.190305.002 build number update for Pixel device as System Update 30. If you have updated your Pixel 3 or Pixel 3 XL, let us know the improvements noticed in the Camera app. Drop your comments below. Essential Phone is now getting March 2019 Android security patch update in the form of build number PQ1A.190105.024. 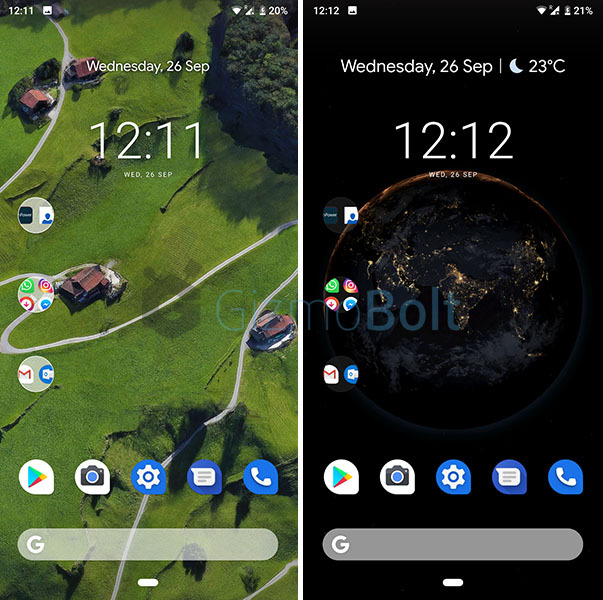 Build number PQ1A.190105.024 update brings Google’s Digital Wellbeing support to Essential Phone. 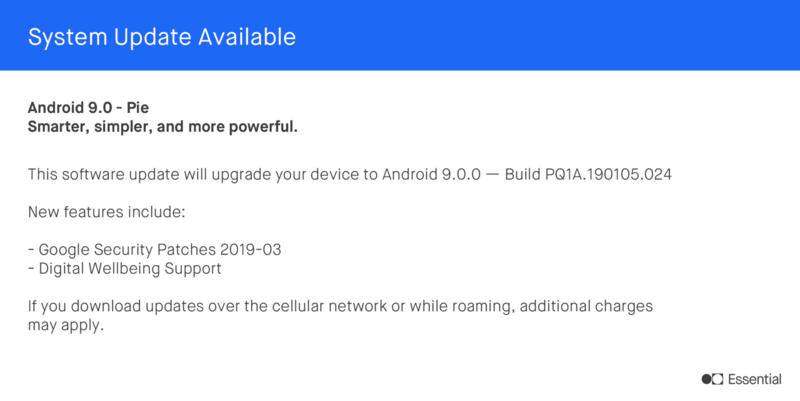 Android 9.0.0 – Build number PQ1A.190105.024 update is now rolling as OTA and is available for download. Essential posted the official changeling on Twitter. 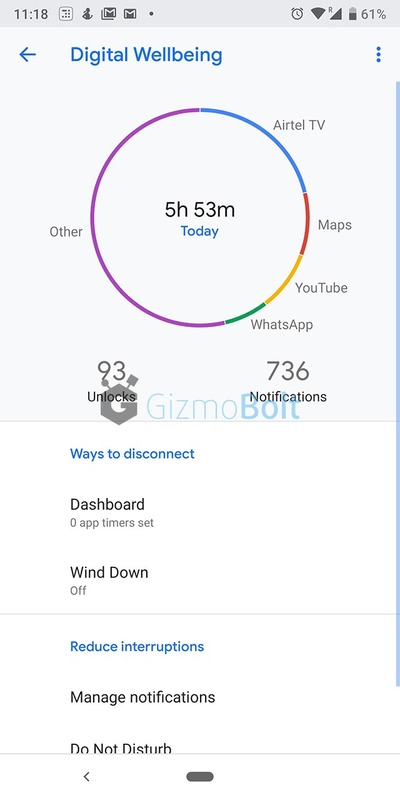 Google’s Digital Wellbeing helps you understand how you interact with your device. 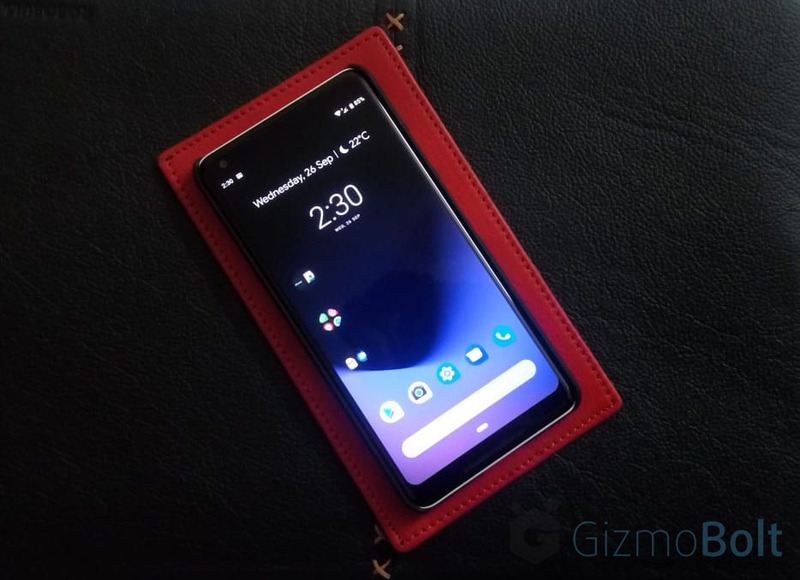 This feature is not new to Pixel devices and now Essential phone joins the list along with Moto G7, Samsung Galaxy S10 and Android One smartphones. 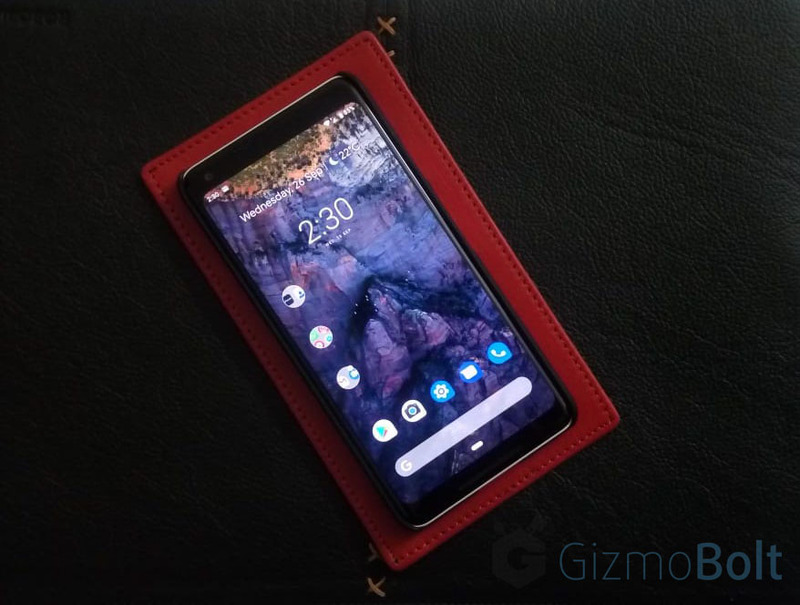 Essential has kept its smartphone upto date with Google’s latest Android Security monthly patches and it is really a good thing for the Essential phone users. 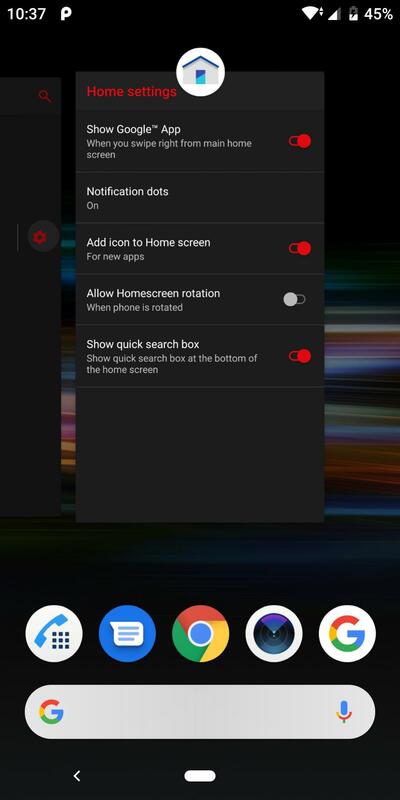 Updated your Essential phone to Build number PQ1A.190105.024 update? Let us know, drop your comments below. 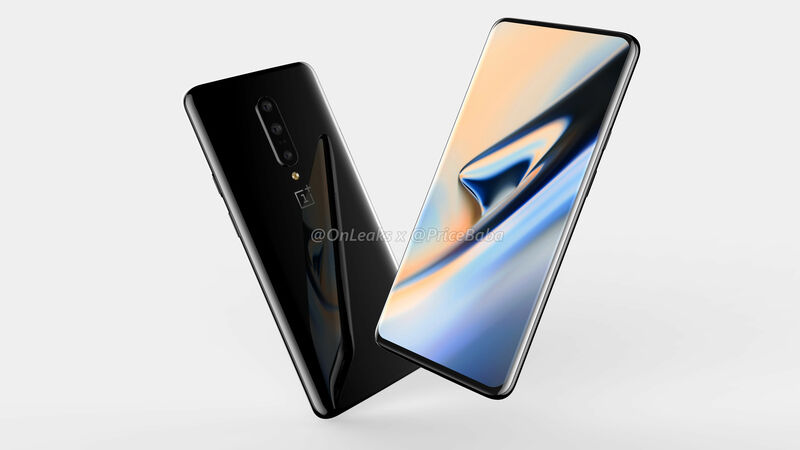 OnePlus 7 renders have emerged online with a pop-out front-facing camera and it is one of a kind. 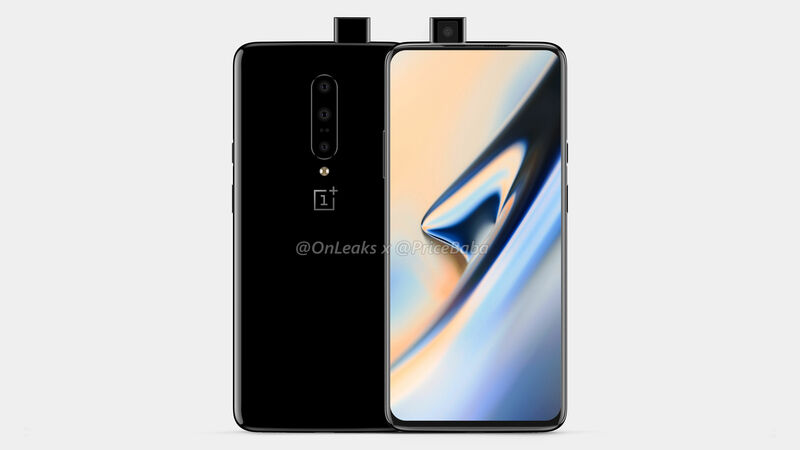 Leaked renders show triple rear cameras with an additional sensor. 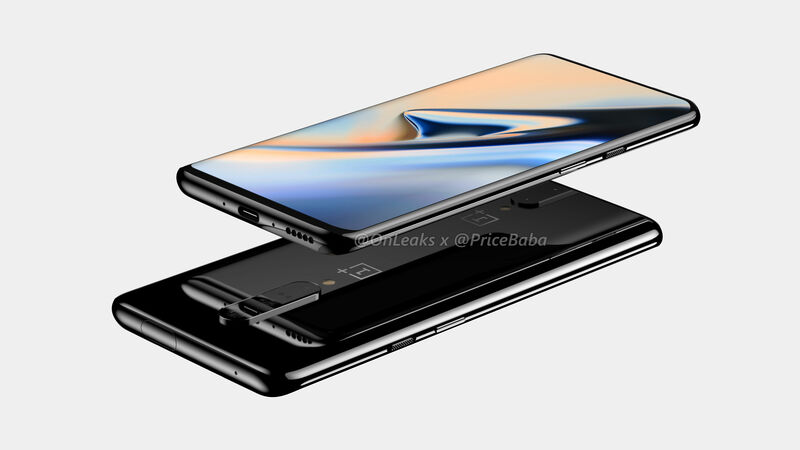 As per the source of leaked renders, OnePlus 7 is rumoured to feature 6.5″ display and following dimensions as 162.6 x 76 x 8.8mm. 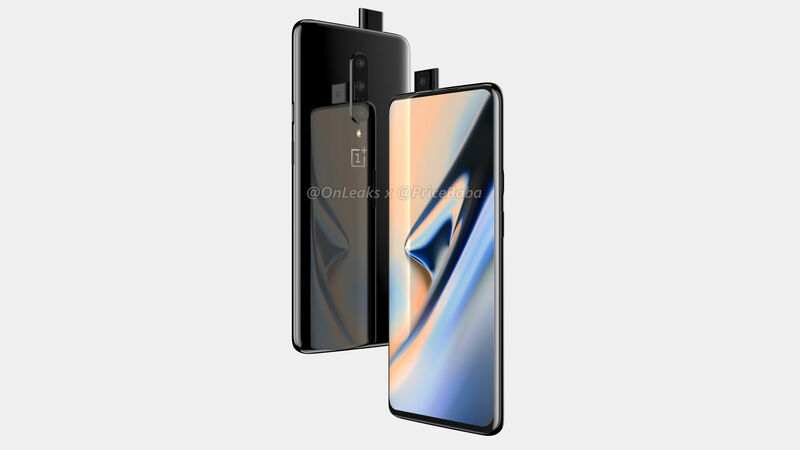 OnePlus 7 Leaked Renders show a great screen-to-body ration, yet you can still see a little chin at the bottom as compared to top. Camera bump is rumoured to stand at 9.7 mm. 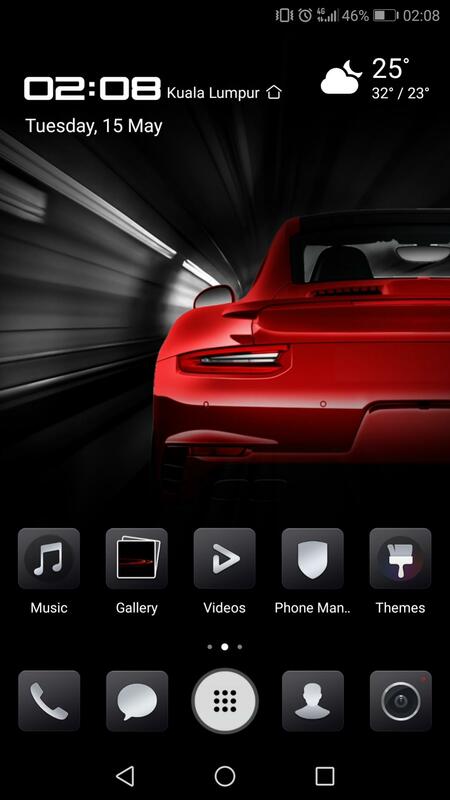 Some other visible features are type-C USB port at bottom, loudspeaker grills at bottom, volume buttons on the left side, power button and alert slider on the right side. 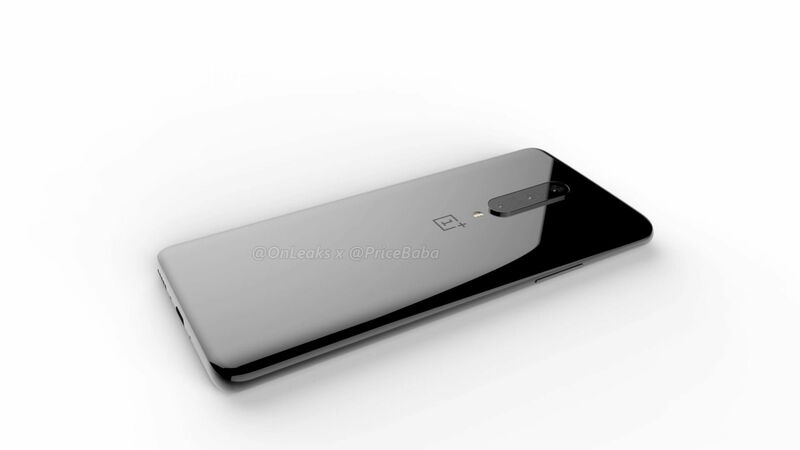 For the time being there is no confirmation on OnePlus 7 launch date, though expected to land during May 2019. What do you think of pop-out front-facing camera? Like it? Let us know in comments section. Less screen-to-body ratio, dual rear cameras and the display notch are the new trends that has been adopted by smartphone industry. 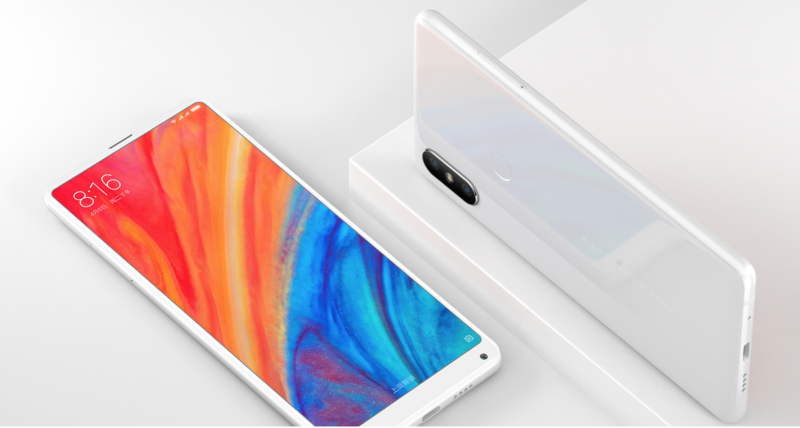 Xiaomi has updated its Mi Mix smartphone range with brand new Xiaomi Mi Mix 2S, powered with latest Snapdragon 845 processor, Xiaomi’s MIUI 9.5 (based on Android 8.0 Oreo), Dual 12 MP rear cameras and 5.9″ (nearly 81.9% screen-to-body ratio) full HD Display (LCD Panel). 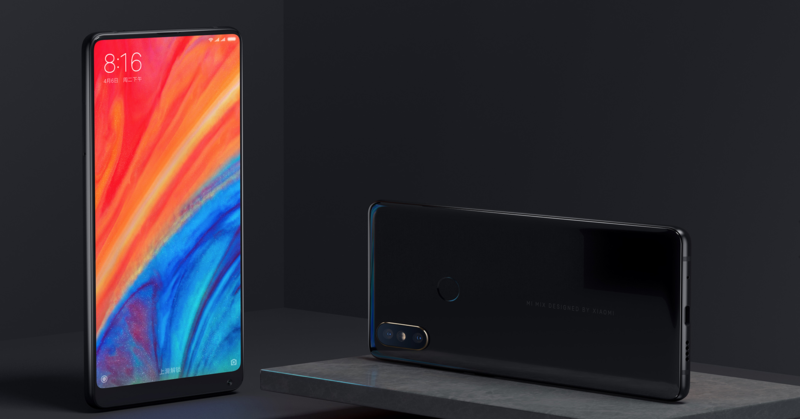 Xiaomi Mi Mix 2S design has been revamped (made up of aluminium and ceramic) as when compared to original Xiaomi Mi Mix. 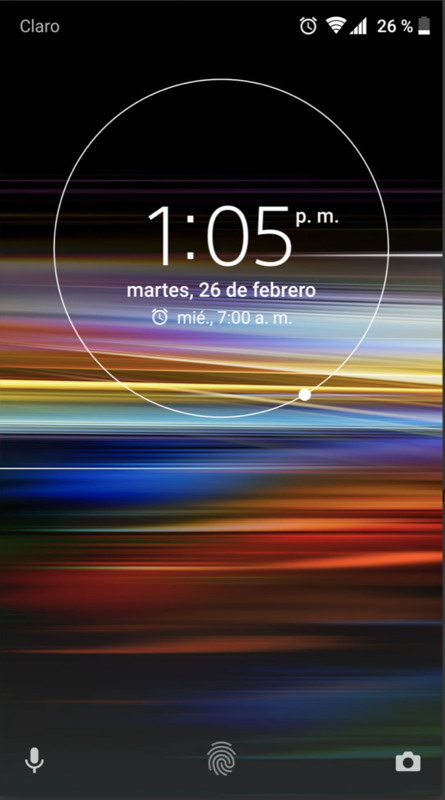 Thin bezels at side and at top (dimensions 150.9 x 74.9 x 8.1 mm). 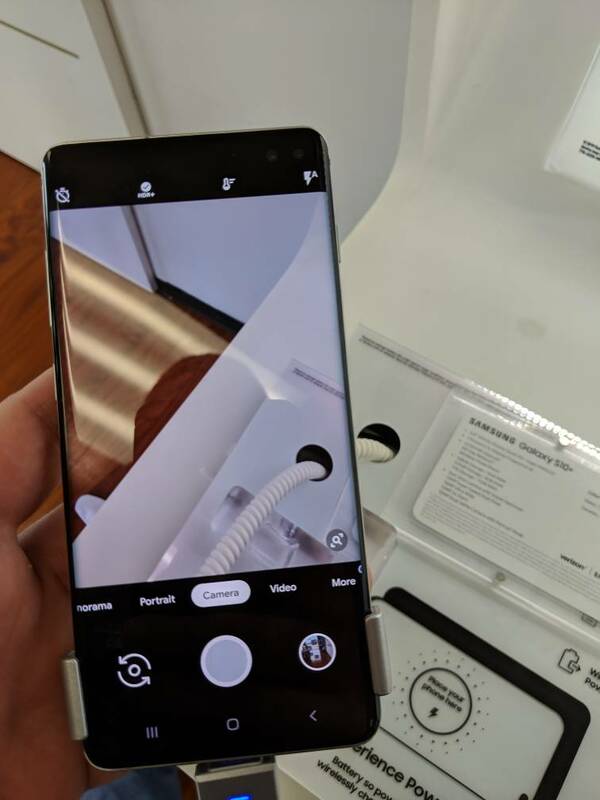 Xiaomi has adopted and kept the original position of front facing camera (5MP, f/2.0) on the lower right corner of the Mi Mix 2S and there is no display notch! 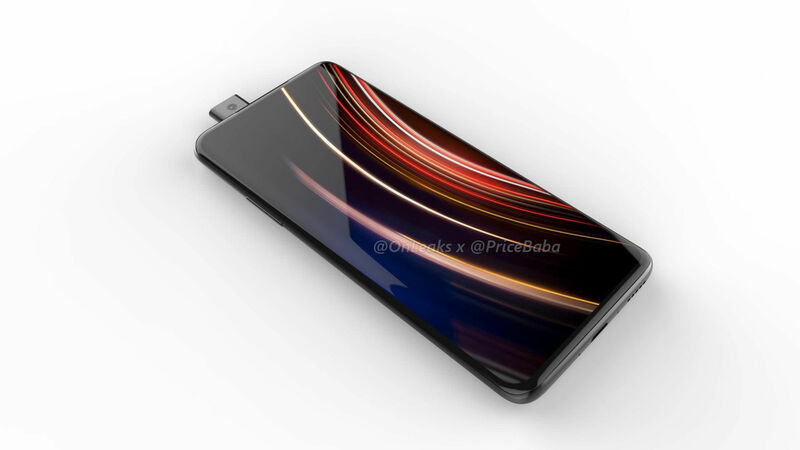 Xiaomi Mi Mix 2S is also the first Xiaomi smarpthone that offers wireless charging (comes with option Xioami Wireless charging pad) and is also powered by Quickcharge 3.0 fast charging (with Type-C Port) and houses a non-removable Li-Ion 3400 mAh battery. 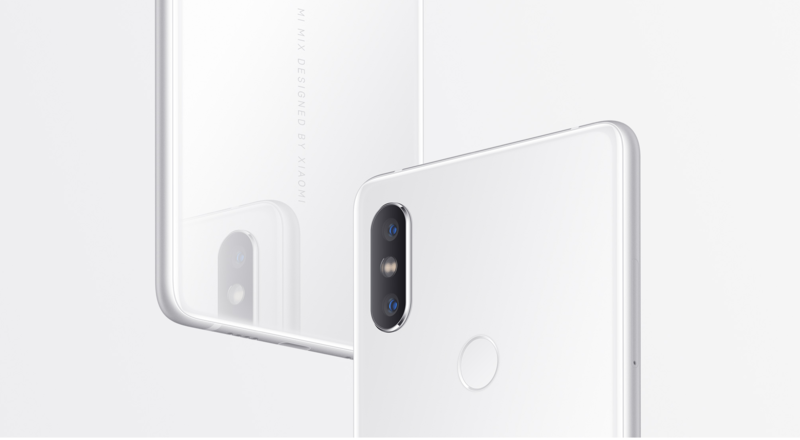 Xiaomi Mi Mix 2S supports dual 12 MP rear cameras, one being a wide-angle lens (f/1.8 lens, dual-pixel auto focus) and other being a telephoto lens (f/2.4 lens). It also supports Portrait mode feature (uses AI feature). 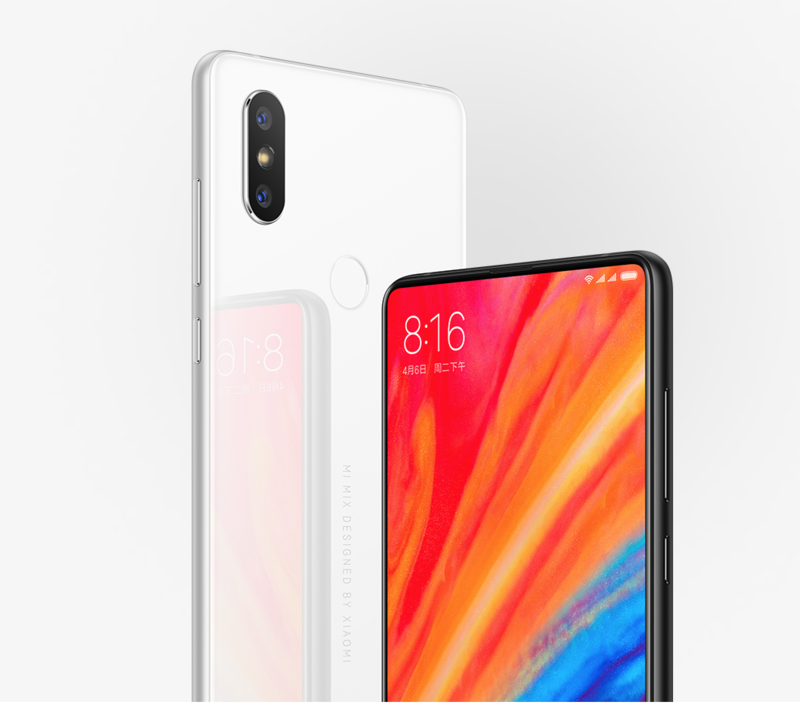 Xiaomi mentions on their website that, “Mi MIX 2S uses an IMX363 rear camera sensor, large 1.4μm pixels”. Fingerprint sensor is positioned at back where it belongs. Xiaomi Mi Mix 2S comes with 2 storage options viz. 256GB ROM/8 GB RAM and 64GB/128GB ROM/6 GB RAM with no slot for SD card. Mi Mix 2S will be avilable only in China for 3299 Yuan (i.e. $527) for the time being (from next week) in white and black color before it hits other regions of the world. 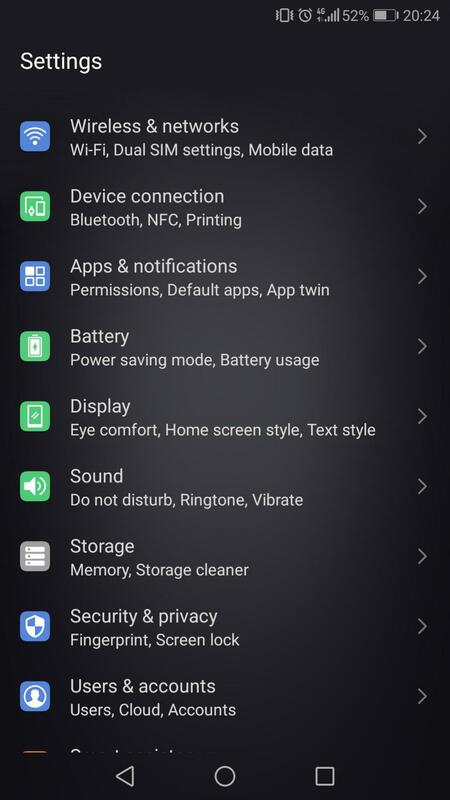 What is missing from Xiaomi Mi Mix 2S? Well, headphone jack connector, water and dust resistance ratings. What is new? Snapdragon 845 processor, dual 12 MP rear camera system and wireless charging. Let us know what do you think of new Xiaomi Mi Mix 2S? Drop your comments below. 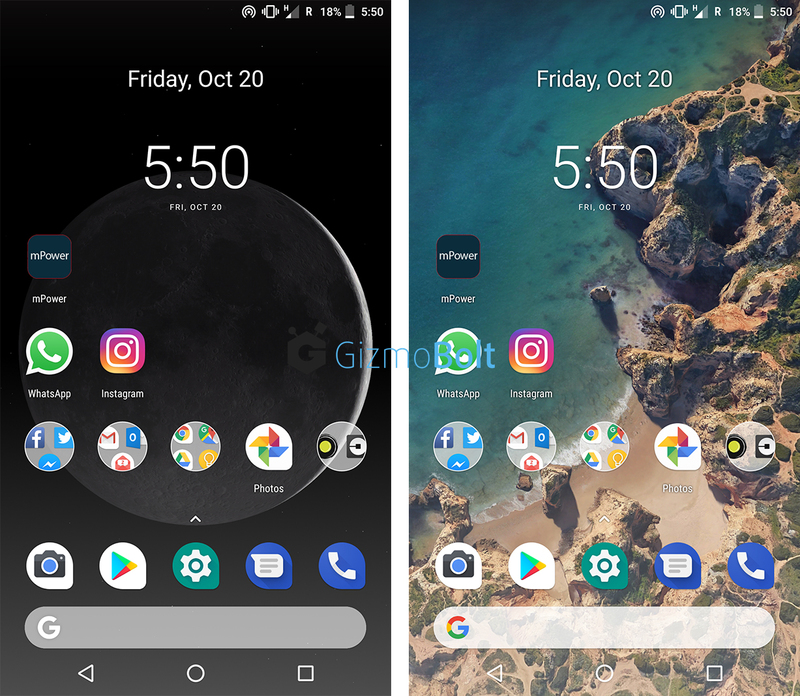 Android 8.0 Oreo update with November security patch finally hits Sony Xperia XZ and Xperia XZs. 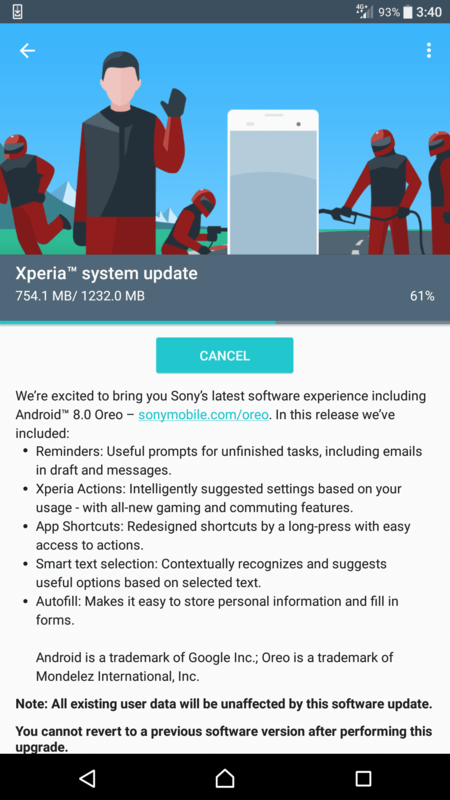 41.3.A.0.401 firmware update brings Android 8.0 Oreo to Xperia XZ and Xperia XZs. If you are updating via OTA, all user data will remain unaffected. 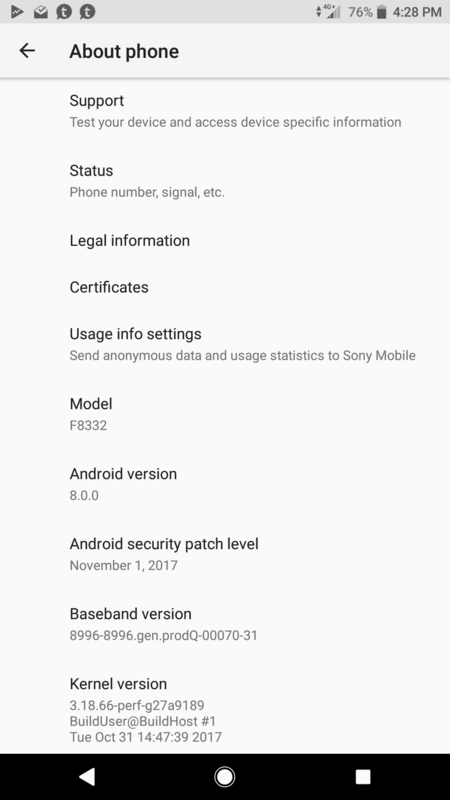 Xperia XZ Android 8.0 Oreo 41.3.A.0.401 firmware update brings new boot animation, new status bar, new call UI, new settings UI. If you have already updated your Xperia XZ to Android 8.0 Oreo update, let us know your views on it, especially on camera quality improvements. Drop your comments below. Basic data recovery tools are found to enable customers to check the data lose. This advanced content or file retrieving tool is easy to install as well. 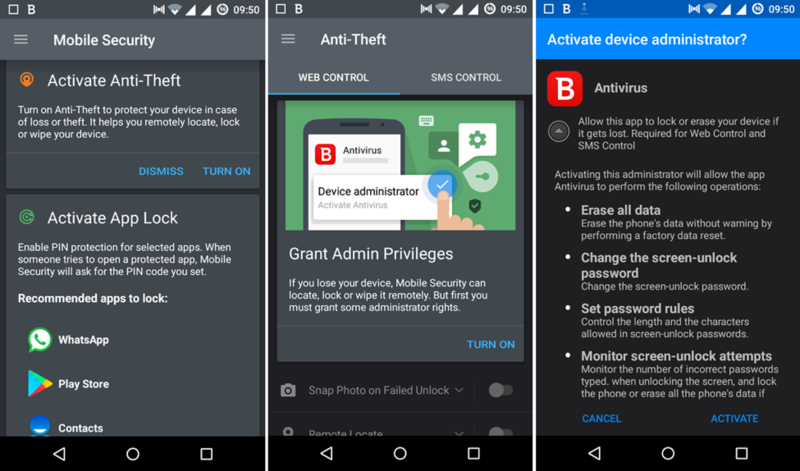 However, Ease US is much better than other free toolkits to restore data from the devices. 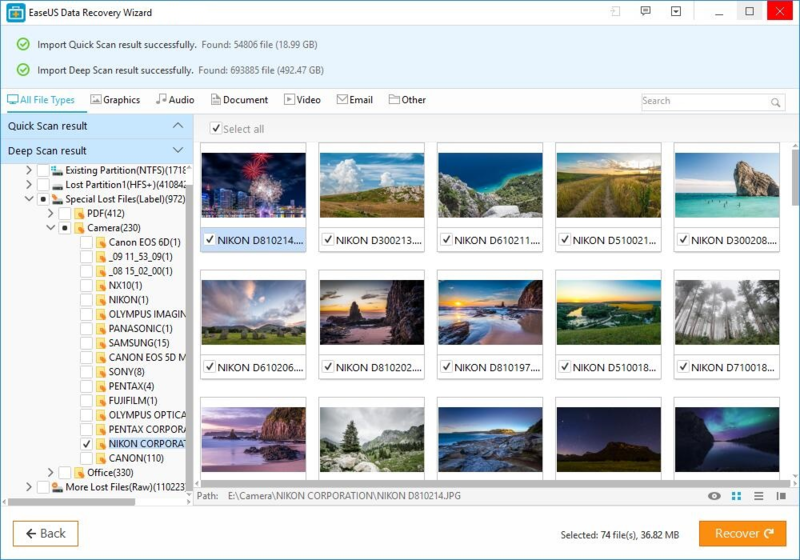 People use this significant tool for getting awe-inspiring tech backup to find any classified file or official document quickly. EaseUS file recovering software is compatible with SSD, USB drive, cam and hard drive as well. 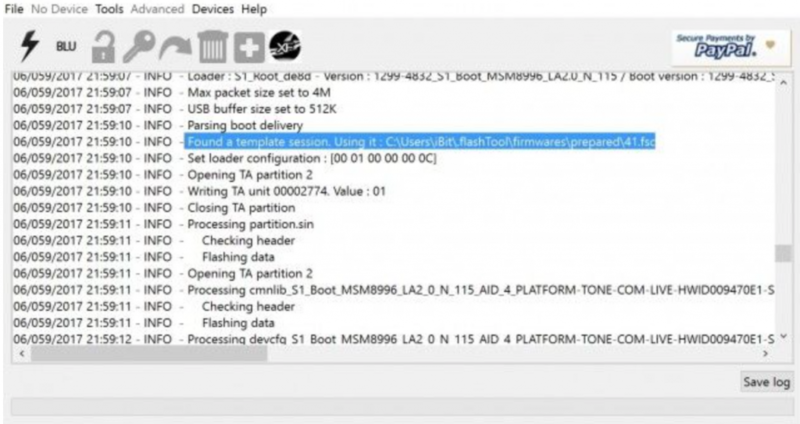 Why is it much different from other basic data recovering toolkits? 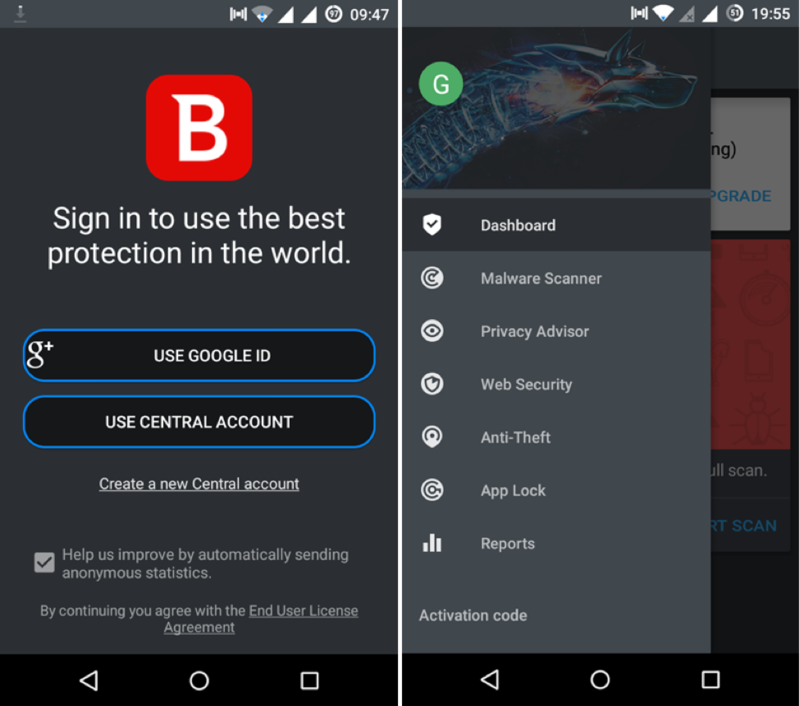 Experts opine that the speed for data sharing through device to device is excellent. Use it to recover damaged or lost file and then export it to other devices like external SD card. This is very good software for people who are found extremely busy of managing large volume of assignments and tasks without glitz. 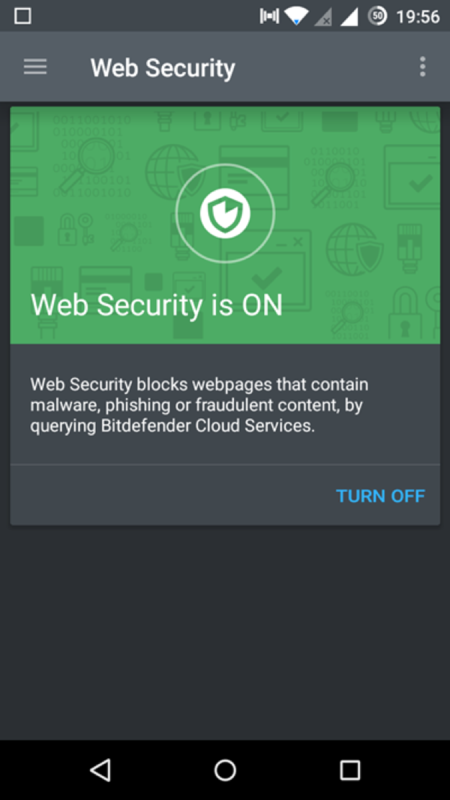 Official files can have virus and spam. Well, it doesn’t matter for a person to get back the files from the inventory/data base/ archive through advanced content scanning. This deep scanning is a must to debug the files. EaseUS is not a cheap or low quality software. It has many good features. First of all, the data recovery process is not chargeable. Nor is it complicated tool. It is dynamic, result oriented and much integrated data retrieving toolkit. Numerous rookies and serious businessmen like this data retrieving system which is free of cost. Simultaneously, it has new update option to add more features to the add-on list. 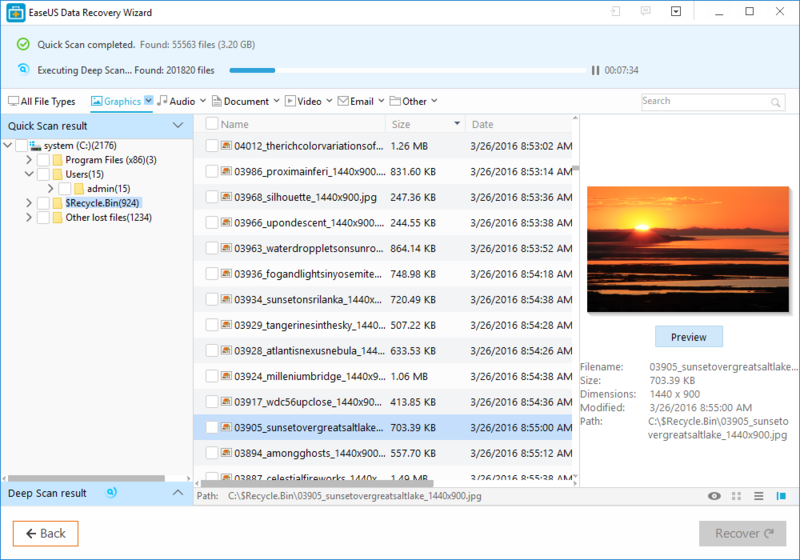 So, EaseUS is a much user-friendly and cost efficient file management tool. Preview of the files which are supposed to be recovered is on display. 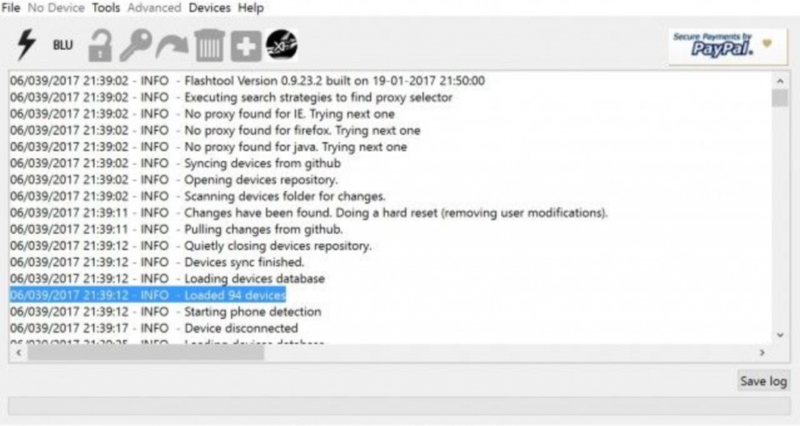 Check the specific files for fast recovery. You have the option to go to the list of files to delete or remove before retrieving. It is not only a friendly tool but it is fitted to a guy who has to keep his files under deep security. Clouding sync is expensive. Even, various smart data management tools fail to perform if you don’t evaluate the performance properly. 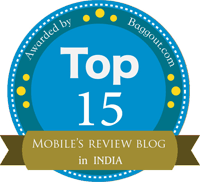 Well, EaseUS is getting five stars with accolades from customers as well. 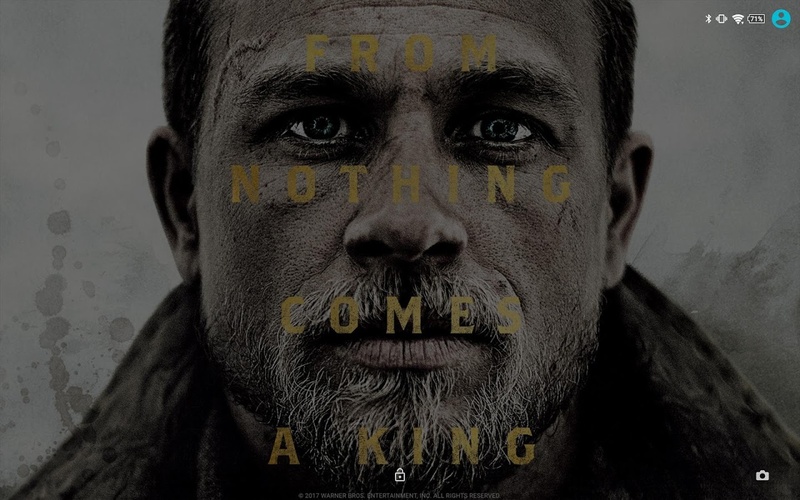 Myth hovers that data recovering mechanism is not successful in the event of drive crashing due to the onsets of online spyware/spam/virus/malware. It is certainly unbelievable that this upgraded software works even when other data recovery machines are found corrupted. People have to be alert to avoid technical fault. 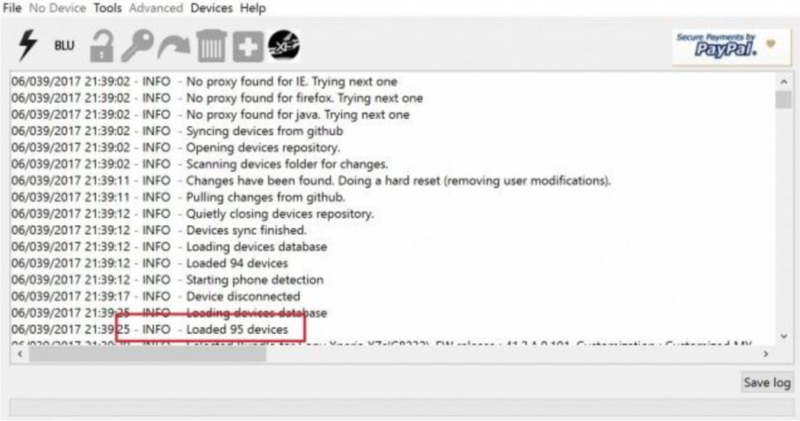 On Internet, unreliable companies offer strange or damaged software to download on the computers. Frankly speaking, files recovering process is completed. When you open the files, it will be empty or designed in coded format. Your dollars as a part of registration fees went to pocket of someone who played tricks with you. EaseUS is known to people who daily hit the site to install this awesome tool for speeding up entire files hidden somewhere in the drive. EaseUS file recovery software is not unavailable online. Get instant free guide from consultants how to use this unique tool to enhance the complete file restoration from overloaded hard drive. Many guys are not confident because they don’t know benefits of installing this tool on the system. Data which are formatted in Java script, HTML and Joomla formats need to be recovered without destruction. Often the file recovery support is not smooth. It happens at the time of downloading large files, pictures and pdf documents. Experts have selected this extraordinary data recovery tool for customers who are interested to have fast guidance to ensure the hassle free data recovery from different systems. Customers are unanimous when they appreciate Ease US for excellent content and file recovery without forcing customers to install the third party tool. Size of files is not changed after the recovery. On the other hand, anyone who needs to stop the data retrieving halfway is able to deactivate it. Later when he again visits the site, it is possible to re-run the files retrieval process successfully. EaseUS is a standard data rescuing platform to a customer who has to share big sets of important files, assignments and photos. In this connection, feel free to go through few tips, suggestions and remarks to update knowledge for saving tons of documents with the usage of Ease US toolkit. 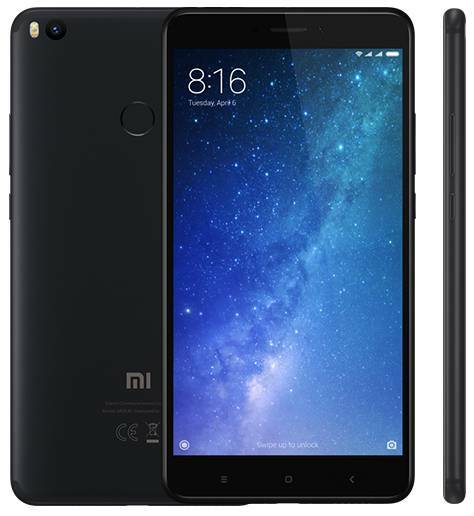 Mi Max 2, Xiaomi’s second generation phablet with 6.44″ display (1920 x 1080 resolution, 342 PPI) and 5300 mAh battery, launched for Rs 16999 in India (available only in Black Color) is definitely pleasing Xiaomi fans. Xiaomi Mi Max is powered by Qualcomm Snapdragon 625 Octa-core 2.0GHz Cortex A53 chipset and Adreno 506 GPU. Xiaomi has launched Mi Max 2 with only one memory and storage combination i.e. 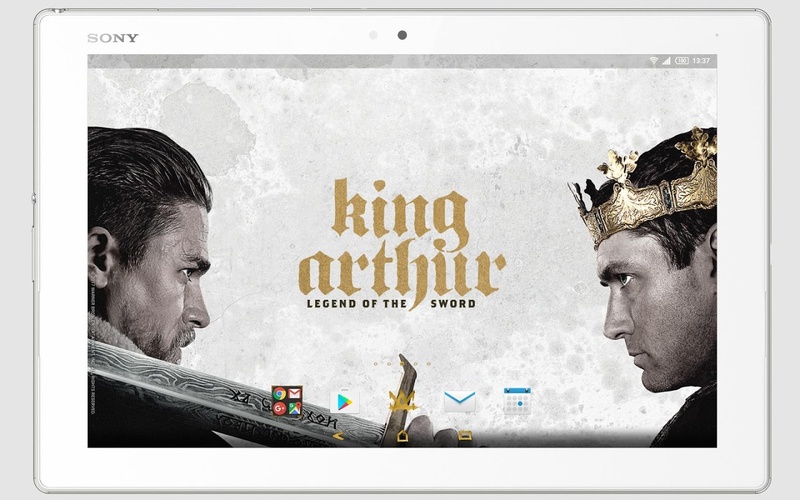 4GB RAM plus 64 GB ROM with expandable storage. 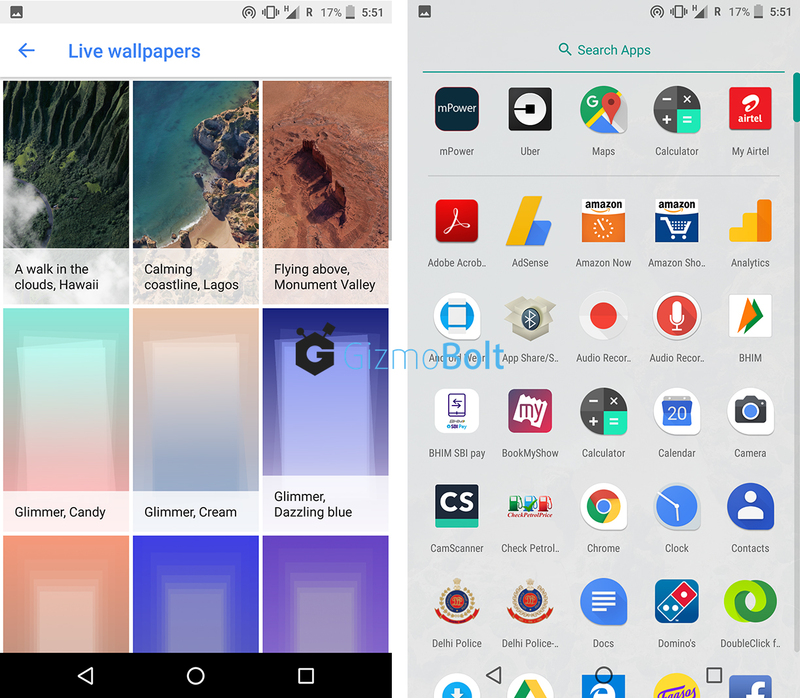 It is running Android 7.1.1 Nougat based MIUI 8.5 OS. Xiaomi Mi Max 2 features 12MP rear camera, Sony IMX386 sensor (f/2.2 1.25-micron pixels) with dual-LED flash and a 5 MP (f/2.0) front camera. It is powered by huge 5300 mAh battery supporting Quick Charge 3.0 (USB-C). Like seen in other Xiaomi devices, it features one-touch fingerprint sensor at back. Weighing 211 grams and 174.1 x 88.7 x 7.6mm in dimensions, Xiaomi Mi Max 2 supports dual-nano SIM. Is it water-resistance? No! It has a great full metal unibody with dual speaker output. It comes with 3-choose-2 hybrid SIM tray (Supports Nano-SIM, Micro-SIM, or Micro SD card), IR blaster and a 3.5 mm headphone jack at the top. Xiaomi Mi Max 2 official ROM is now available for downloading from the official website and can be flashed using MI Flash. 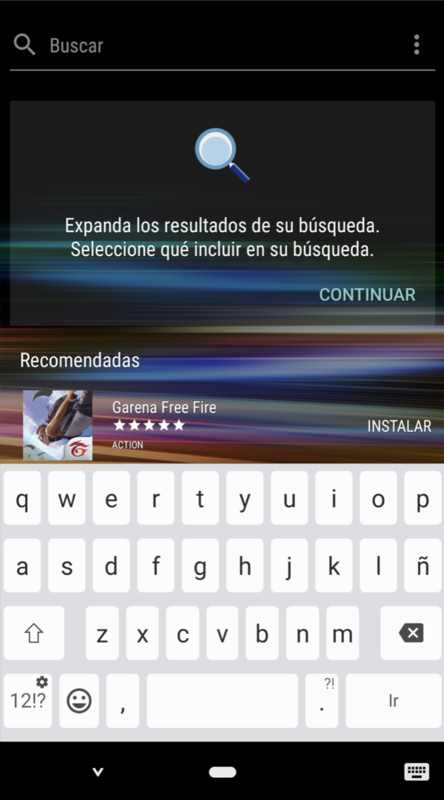 To flash magisk, use this tutorial. LineageOS 14.1 for MI MAX 2 is now available. Check out the video below in case of any doubt. Starting 27 July, users in India can buy Xiaomi Mi Max 2 from Paytm Mall. If you are a fan of smartphones with bigger display that should last long, then Xiaomi Mi Max 2 is surely one of the best contender in that field. 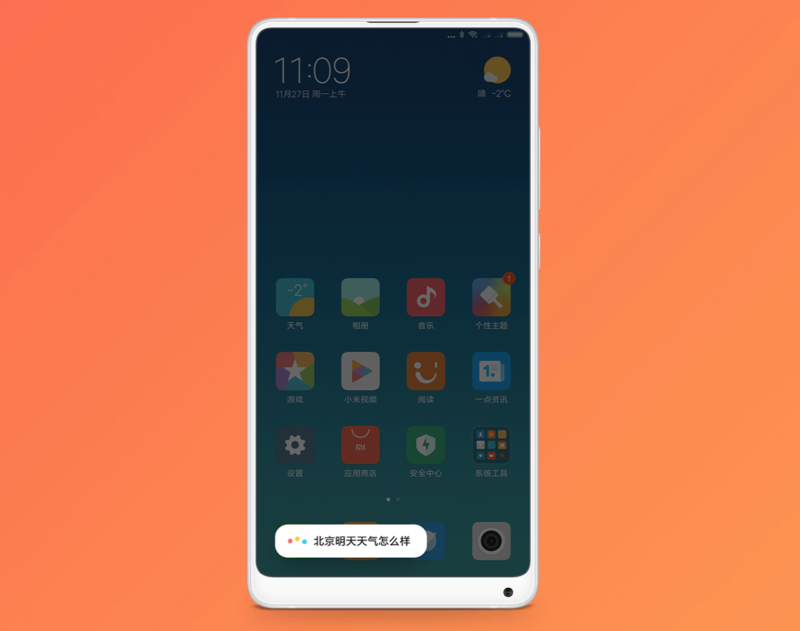 What is your take on Xiaomi Mi Max 2? Let us know in comments section.